One more eye-catching online pokie with stacked wilds, 50 pay-lines and the signature Ainsworth thrill with the name, Roaming Reels is available for play at MoneyGaming. This game is designed with 3 rows, 5 reels and 50 pay lines, developed by Ainsworth, the innovator in the worldwide gaming market with the outstanding assortment of gaming expertise and blend software. At first, the game was designed only for land-based casinos and accountable for some key progressive jackpot winnings of late. Later, the company decided to build on that recognition and turn it into an online poker machine too. 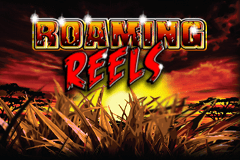 Play Roaming Reels With $300 Free >> Play Now! The Roaming Reels Pokie is a liberal five reel, 50 pay-line slot game, which is all regarding symbols. 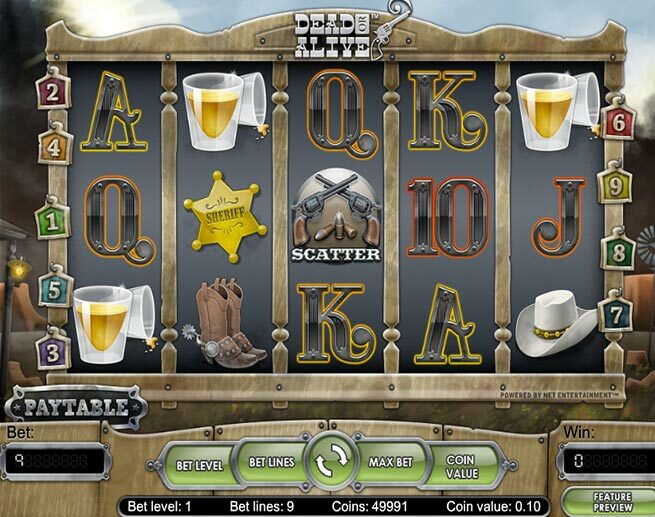 It is set in the Savannah background in Africa, which is the most admired subject in online slot games. The safari is just a start while players make their first spin. The reels in the game are occupied with zebras, lions, gazelles, emus, and with other familiar symbols, ranging from 9 to Ace. Players can feel the roar of the lion with until the end of 20 free spins. The Wild symbol in the game is the lion that appears on the third, fourth and fifth slots and it replaces all the symbols, except the tree symbol. However, in the base game, the lion symbol may emerge in any or all positions of the final three reels. 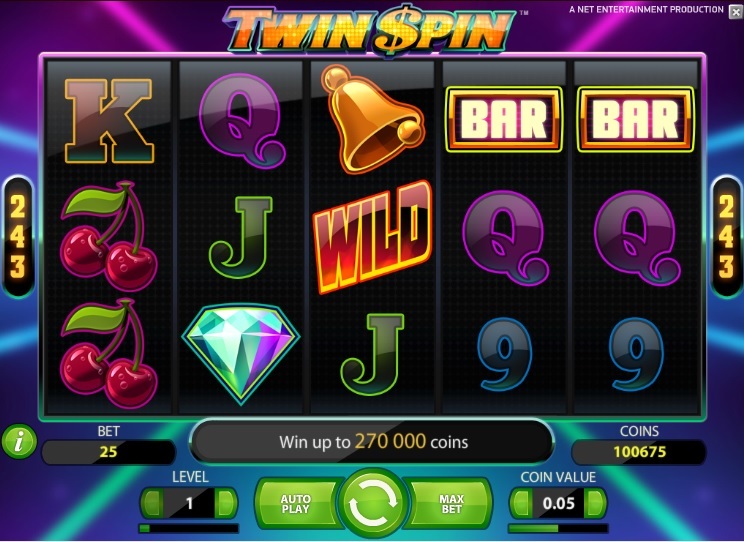 Players can acquire three or more among those tree symbols randomly across the reels, and can make the free spins bonus game active. Three trees offer a player a chance to acquire eight free games, four trees would offer 12 free games, and five trees would offer a maximum of 20 free games. Once the free games are made active, a lion’s paw symbol will come in to picture. When three of those symbols are landed in the free games, the player will get 10 times of the placed bet. The free games can be activated again according to the preferences of the player. The Roaming Reels Pokie game might be designed with a small number of features, but by means of a plethora of pay-lines, and a few stacked symbols performing the rounds during game play, players could potentially achieve a big win with the maximum payout of 10,000 AUD. However, the player can start the game with a minimum bet of 0.01 AUD. We currently endorse MoneyGaming Casino for playing any Ainsworth pokies online and for real money. Though Australian players can’t join and currently there aren’t any casinos offering Aussies with a chance to play games from this company. We will keep You updated in case this changes though. 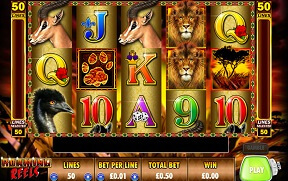 The Roaming Reels Pokie is an attractive game that is designed in the background of African safari with a variety of symbols, including wild symbols that can emerge stacked to fill the entire reels. This game features the lion, the king of beasts as the wild symbol. This game is ideal for those who would like to experience one more safari break. This machine is designed with attractive graphics with the forest backdrop that is rarely found in similarly themed games.